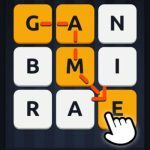 If there’s one thing about both the Google Play Store and Apple App Store, it’s that there simply is no shortage of word games/brain games. These titles, truth be told, come with similar gameplay and similar objectives, but that’s the way it is, pretty much — they’re there to train your brain, and not reinvent the wheel. 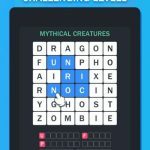 Word Tiles is one of the newer games of this kind, and in this game developer Silly Spider challenges you to solve the “cryptic” clues by sliding the letter tiles and creating words. 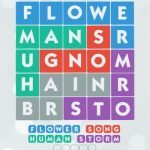 There are hundreds of free levels with clues in case you get stuck, and as you complete more levels, you will find that they get progressively harder. As you’ll notice, Silly Spider mentioned the word “clues,” but not “hints” — some game makers will talk about a “hints” feature, which is simply the ability to easily share screenshots of a tough level to your friends. But why wait for your friends to fill you in when you can read our Word Tiles answers, cheats and solutions? We’ve taken the initiative to complete the game’s first 200 levels, so read on (but don’t read this guide straight) for those easy answers you’re looking for!